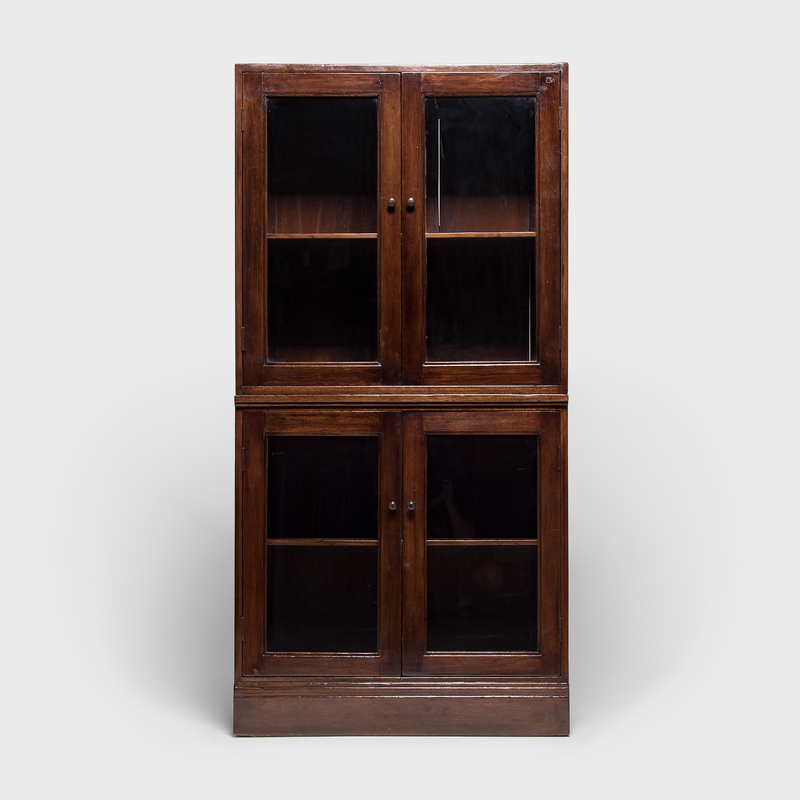 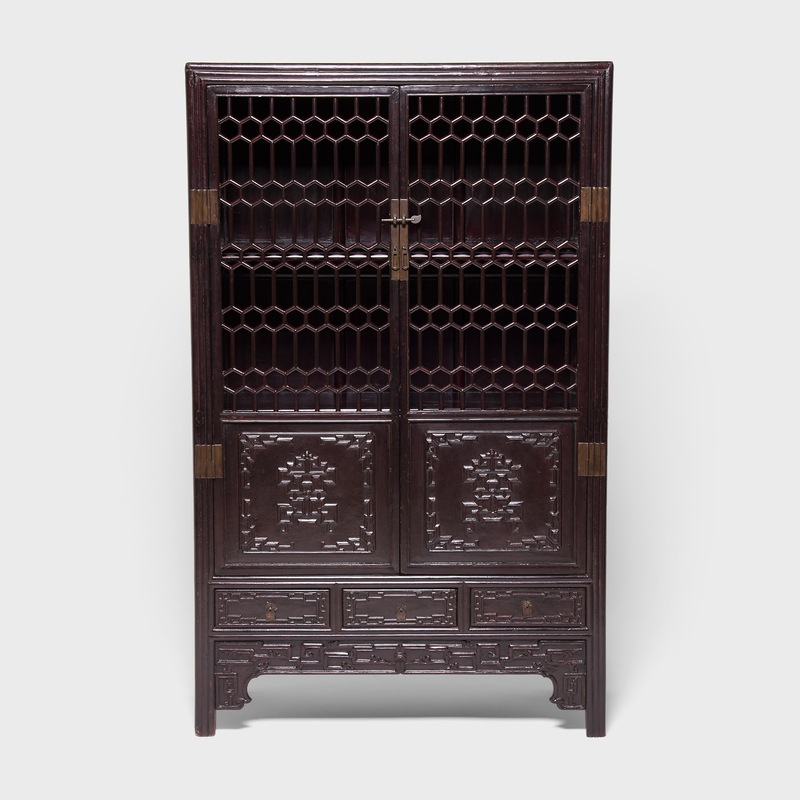 W: 41.75" D: 16.0" H: 73.0"
Made around 1900 during the Qing dynasty, this stately storage cabinet bears the mark of European influences. 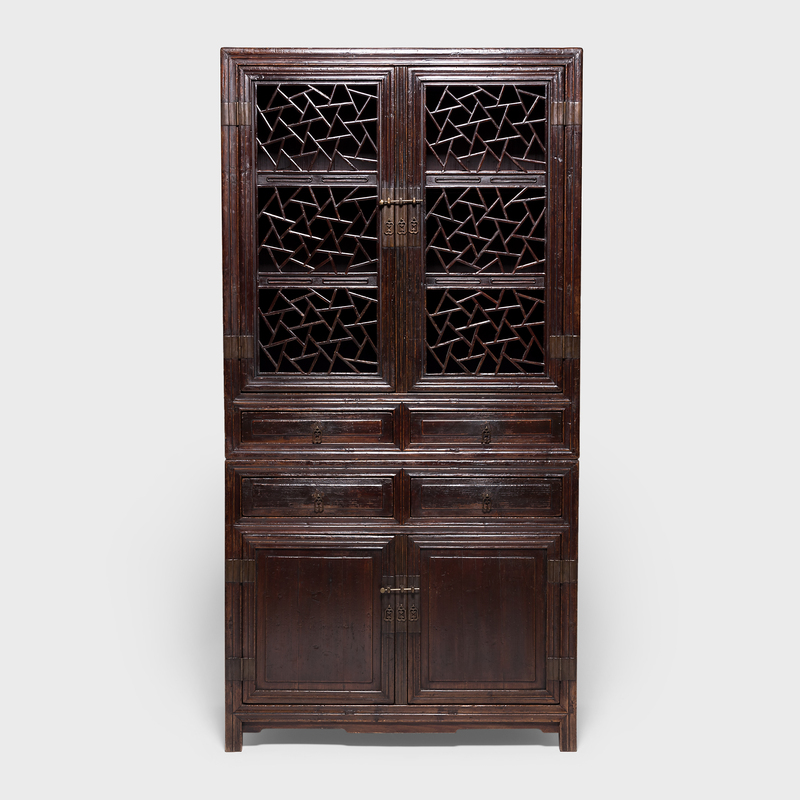 Replicating elements of design seen in European furniture, Chinese carpenters and hardware makers integrated details into traditional Chinese designs visible in this cabinet’s distinctly colonial flourish to the glass-paned doors, the abstract scrolling vine motif incised on the wood doors, and the diamond-shaped pulls that reference hardware used on cabinetry brought to China from Europe. 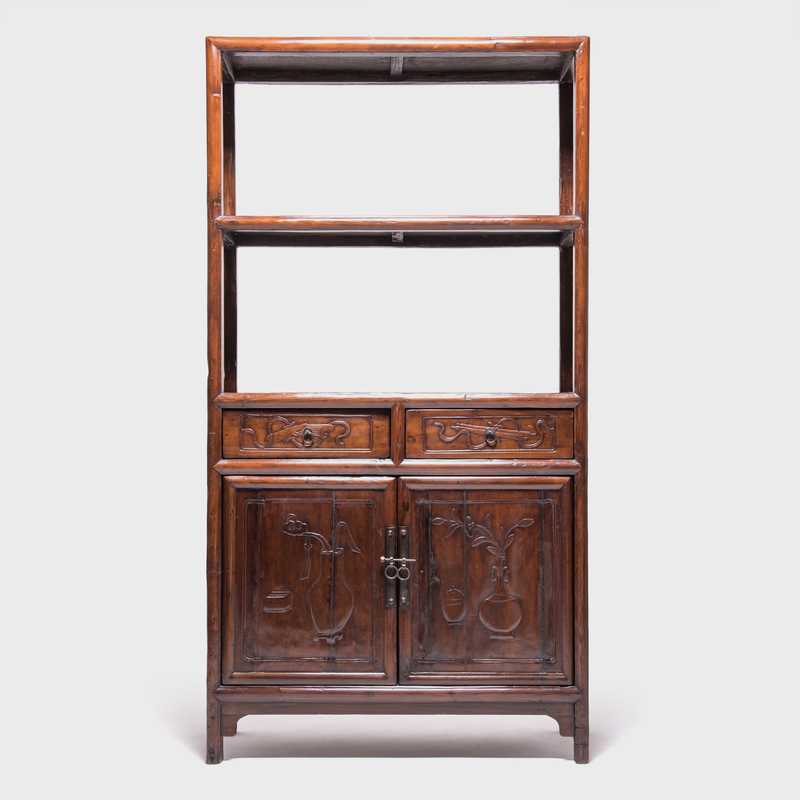 However, the cabinet’s construction and choice of materials remains solidly Chinese. Made of classic northern elm using sturdy, traditional construction methods, the cabinet displays dark-stained interiors that resemble black lacquer.